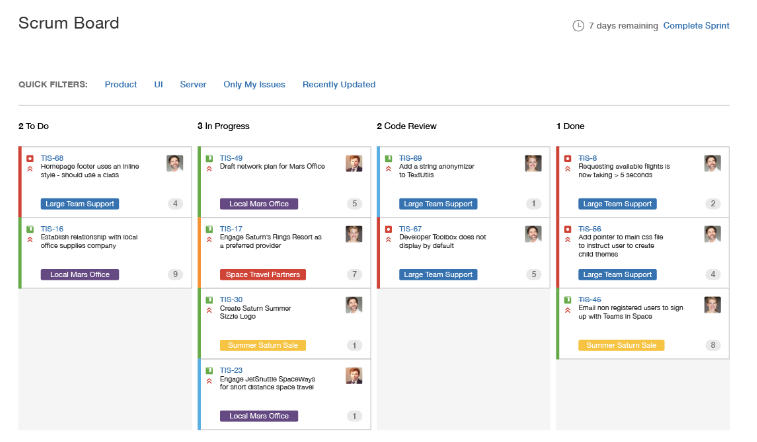 JIRA Software provides smart tools for managing teams, programs, and agile projects. Teams that use JIRA Software optimize their workflows, improve their ability to predict and estimate development times, and shorten development processes overall. JIRA Software’s rich feature set lets you create flexible plans and adopt the best and fastest methods for your organization. Methoda consultants lead the implementation of the platform, providing insights regarding the best way to implement JIRA in your organization, the potential methodologies to use, and how best to maximize the benefits of Agile in your organization. Methoda’s experts have carried out dozens of successful implementation and acquired extensive experience in customizing the tools to the organization its integrated processes – from recently founded startups the leading technology in Israel to biotech, industrial, and R&D firms. JIRA Software was specifically designed for working in an organizational environment. The platform enables the creation of a great variety of boards to meet the needs of teams in any type of organization. The system synchronizes the boards to build coordination even in the most dynamic environment, and makes it possible to track the consumption of resources, the progress teams, and the organization’s progress overall. Manage the backlog at the team level, the product level, the client level, and more, prioritize tasks with ease, quantify the required investment in person hours or in Story Points, filter the backlog by version using customized Epics or filters. Plan sprints by simply drag and dropping tasks from the backlog. The required investment is visible at the sprint level, based on the allocation of team members. Future sprints can be planned with the same interface. Execute sprints with system generated agile boards that allow the team to drag cards from one status to another. The system enables full control of the information that is presented on each card and filtering and grouping of data, based on the most parameters that are most convenient for the user. View control and information analyses with reports. The system includes a broad range of reports including Burndown Charts, Epic Reports, Sprint Status, and more. Use the reports to investigate and improve planning and control for the next sprint. Working directly with boards is very well suited for service team that operate continuously. 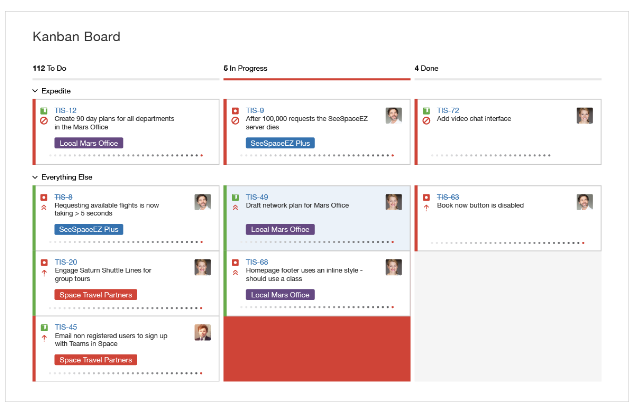 Kanban lets you plan and implement work processes that are visual and easy to use. Planning and execution of boards includes a variety of customization options. JIRA is user friendly, supporting fast convenient implementation, and its user experience enables fast self-learning and lets end-users start working immediately. JIRA’s set of tools helps users work more effectively. JIRA is an extraordinarily stable system with superb performance. The system has been has been realized as an SPA for better client performance and ease of use. JIRA is an exceptionally flexible system that meets any need with built-in management tools and a massive collection of plug-ins. Works on the cloud or a local server. A massive community of users provides a high level of information availability for every need. Methoda provides expert JIRA support. Methoda is highly experienced at importing and integrating similar organizational systems using JIRA’s REST API and other import/export interfaces. Methoda’s experts help to analyze the licensing needs of your company and optimize the license costs for your organization. Methoda has developed several training courses that have successfully instructed users in many companies. Courses can be specially designed for your organization’s needs or members can attend our courses that are open to the general public. Methoda experts remotely maintain and support Atlassian systems. Service is provided based on the client’s needs and service level requirements. Methoda establishes and maintains JIRA servers on the world’s leading storage services. The service includes monitoring, application support, and infrastructure support. Methoda performs a detailed needs analysis of the organization and its units, based on how they are managed, in order to formulate the optimal architecture that takes into account the needs of management, while providing the teams with operational and managerial flexibility. Methoda installs JIRA on either Windows or Linux environments, including database definition, and help with the backup and recovery policy and platform maintenance. Methoda can investigate an existing system to locate and fix performance issues at the JVM, database, and application level. Methoda upgrades your system from older versions of the solution, including data conversion, and implementation of the upgraded system. Methoda implements work processes that include special conditions, connections to external databases, and more.